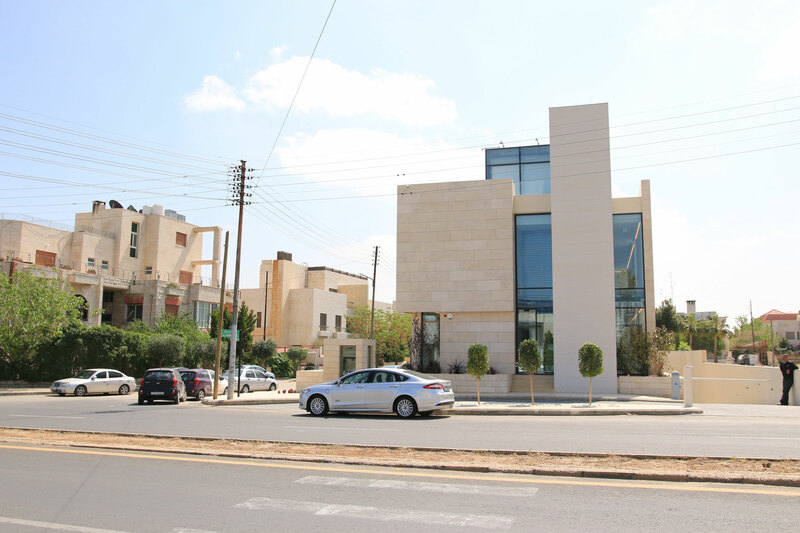 Capital Bank VIP branch is located in a residential area in one of the most exclusive neighborhoods of Jordan’s capital Amman – Cairo Street in Abdoun. 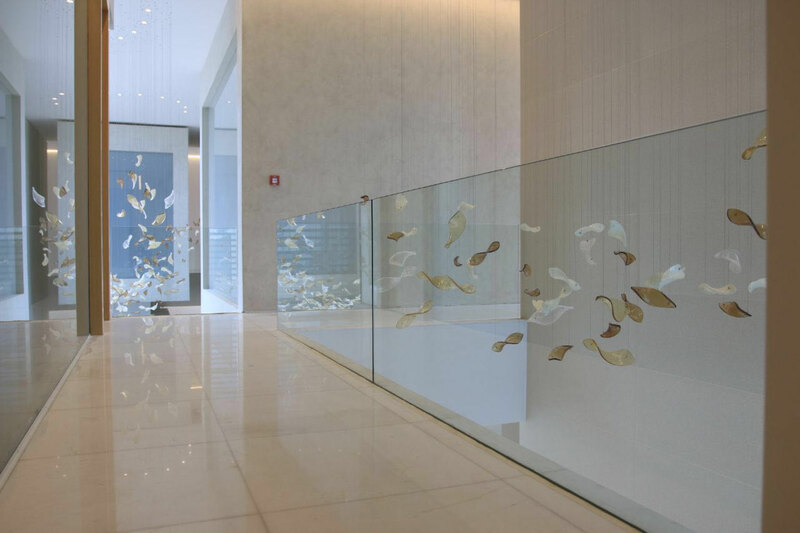 Creating a "boutique bank" experience triggered the design concept of this branch introducing a sense of belonging and a welcoming design, with a theme that is influenced by nature. 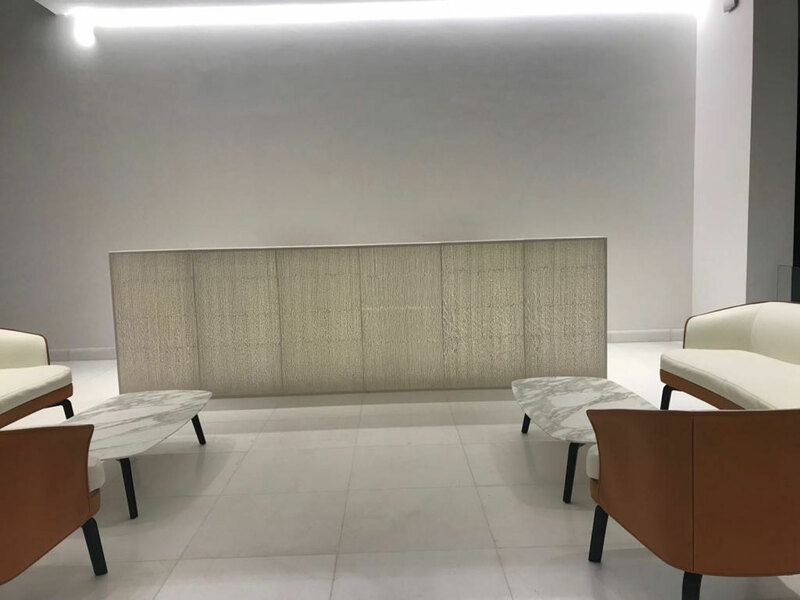 To create a “boutique” experience, the traditional bank experience had to be replaced with an approach that is private, luxurious and catered to the customer’s needs. 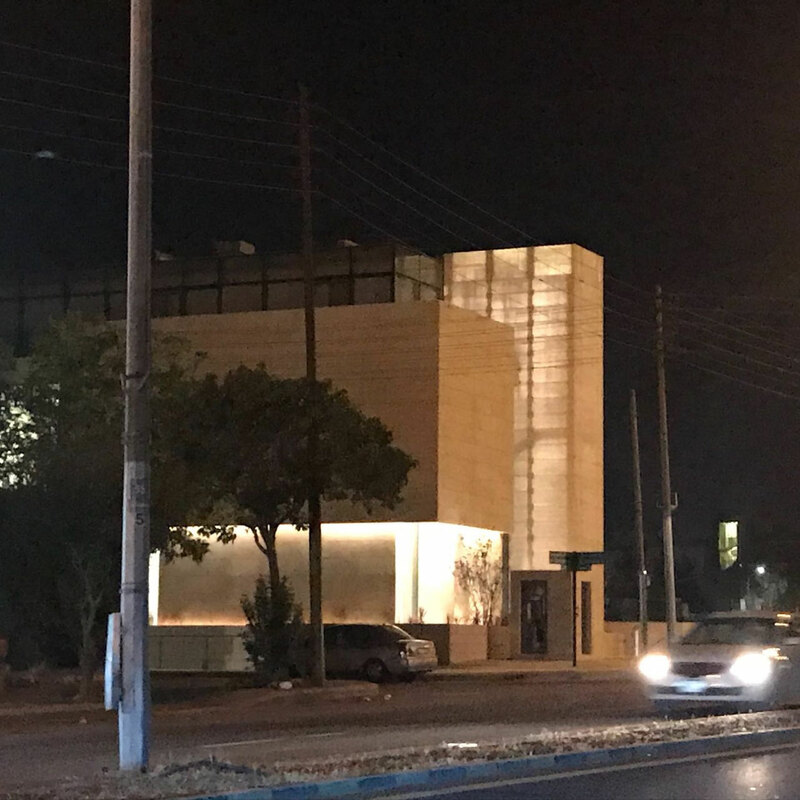 The design, developed by the Design team led by Saja Nashashibi, founding partner of PARADIGM DH, Amman, is based on the use of translucent concrete panels. 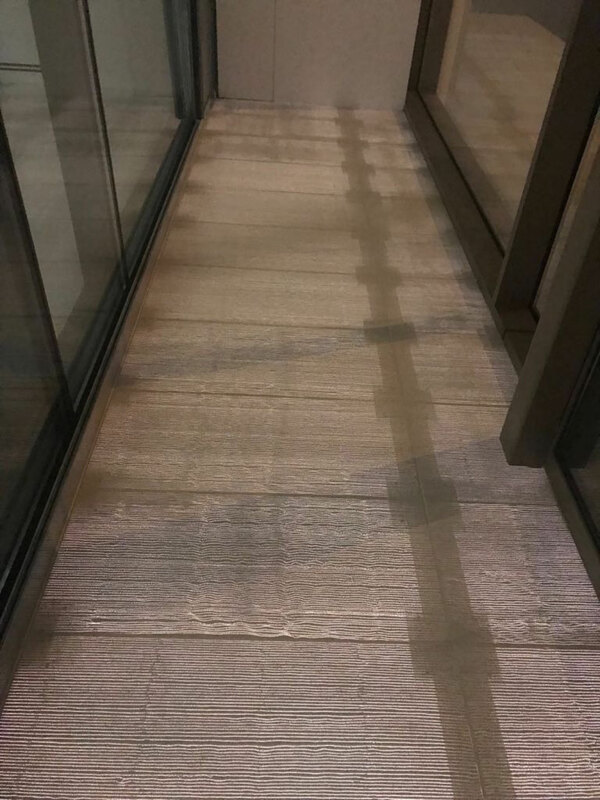 The most typical application of translucent concrete has always been to fix the concrete panels directly in front of LED light sources that lit up the concrete artificially. 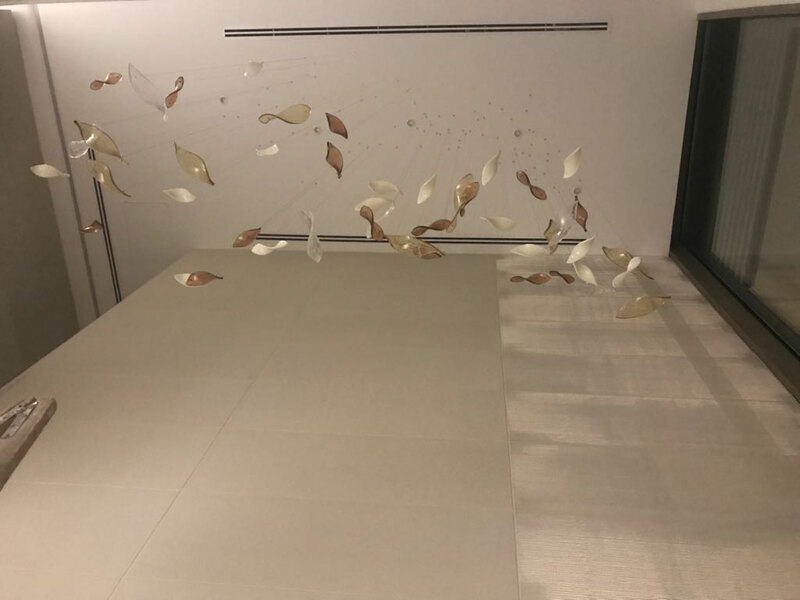 However, this does not take the full advantage of the potential of the material. 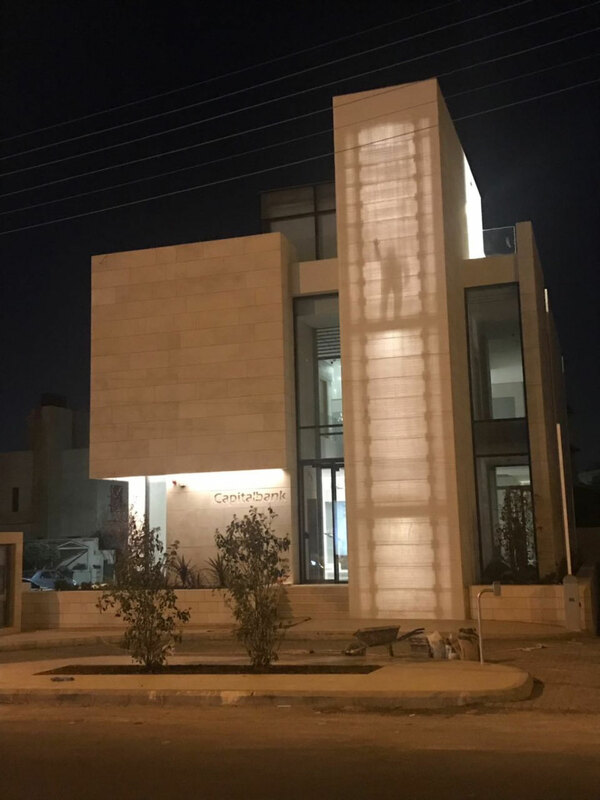 Moving the artificial light further away from the concrete panels and creating distance allows space for movement of the occupants, a more dynamic effect is achieved: the silhouettes of the people inside are projected onto the translucent concrete panels that can be seen from the outside, creating a “shadow theater". 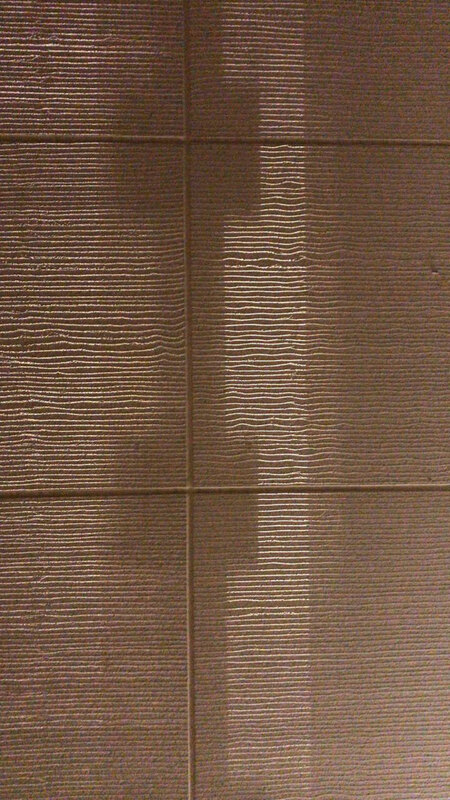 And inversely, people inside will experience the change of light and shadow throughout the day sunlight as projected on the panels from the outside to the inside. 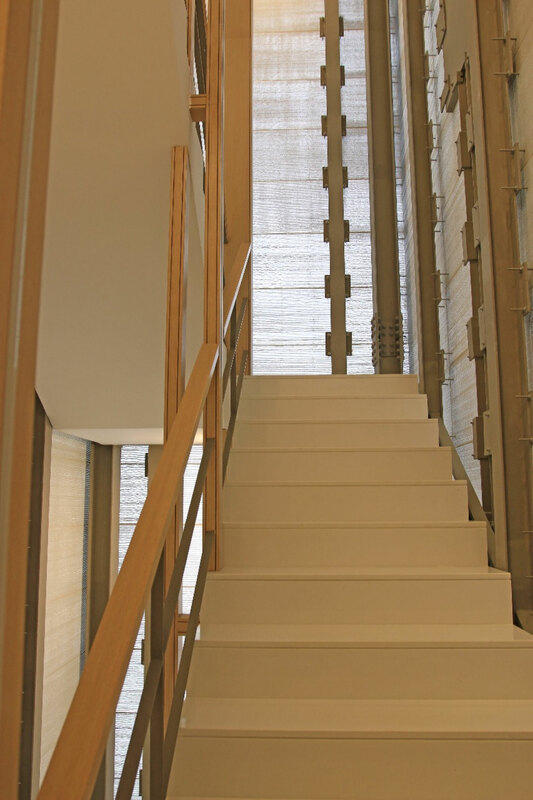 The result is achieved by cladding the stairwell with translucent concrete panels that are mechanically fixed, keeping the supporting structure exposed from the inside. 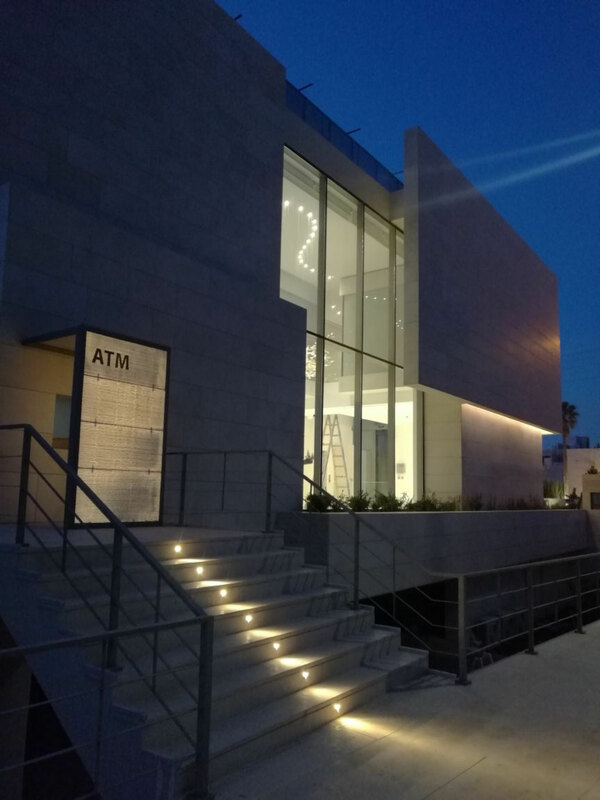 As for the lights that illuminate the translucent concrete, PARADIGM DH opted for vertical lights that span the full height of the stairwell and were mounted on steel/wood columns incorporated into the design of the handrail. 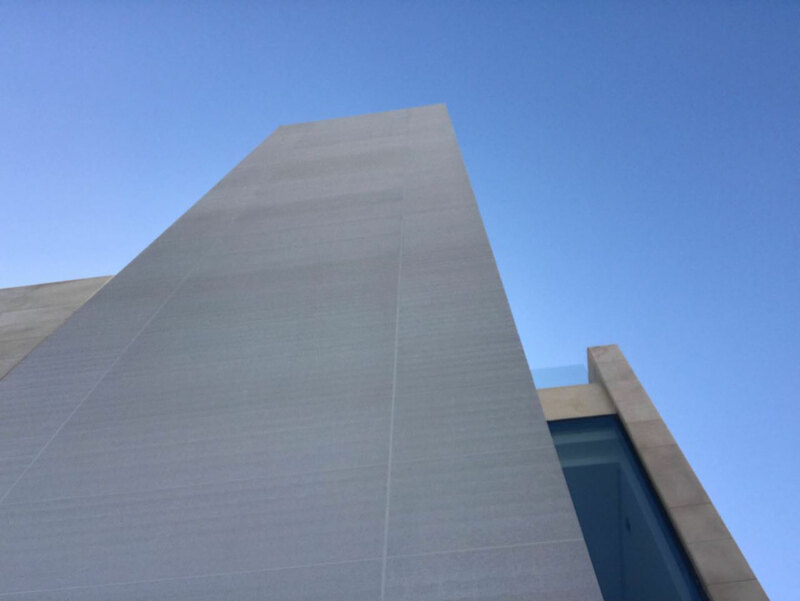 Next to the use of light transmitting concrete, the design team decided to use the new LUCEM PURE panels for cladding of the non-translucent areas in the facade as well. 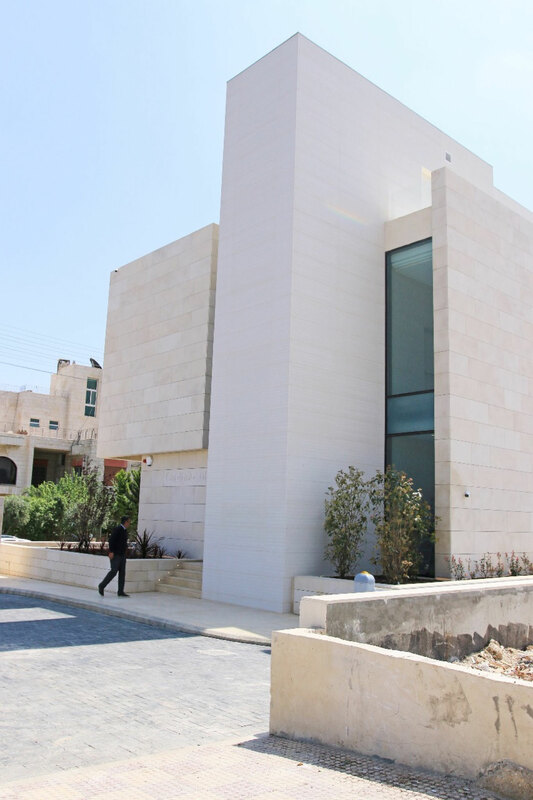 So a concrete panel with same cement/sand mixture and surface finish leads to the same daylight view from outside. 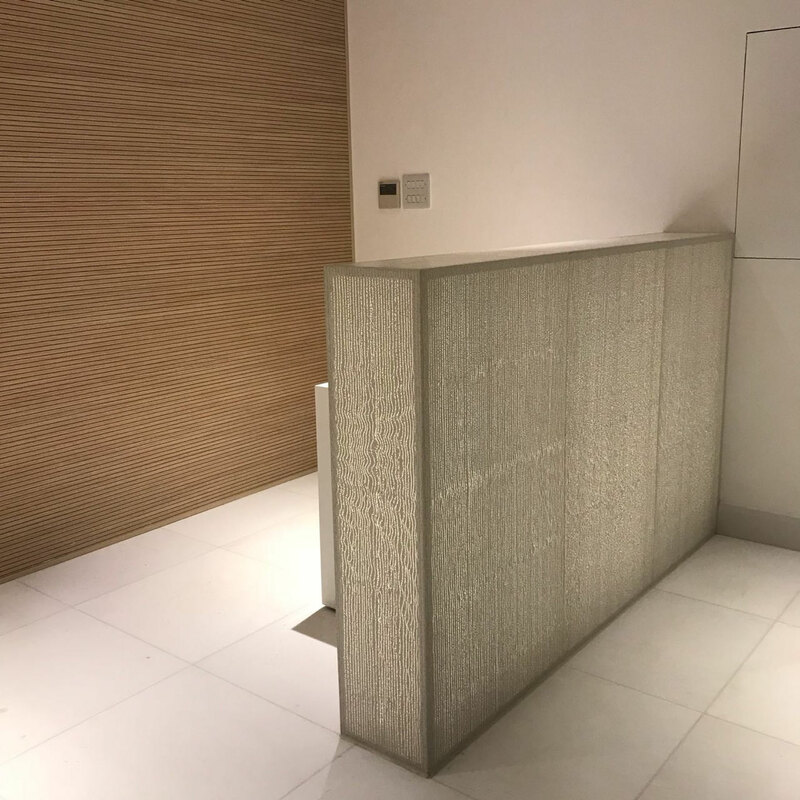 In addition to the use of LUCEM panels on the internal and external facades, Light Transmitting Concrete panels have been for furniture and the ATM highlight. 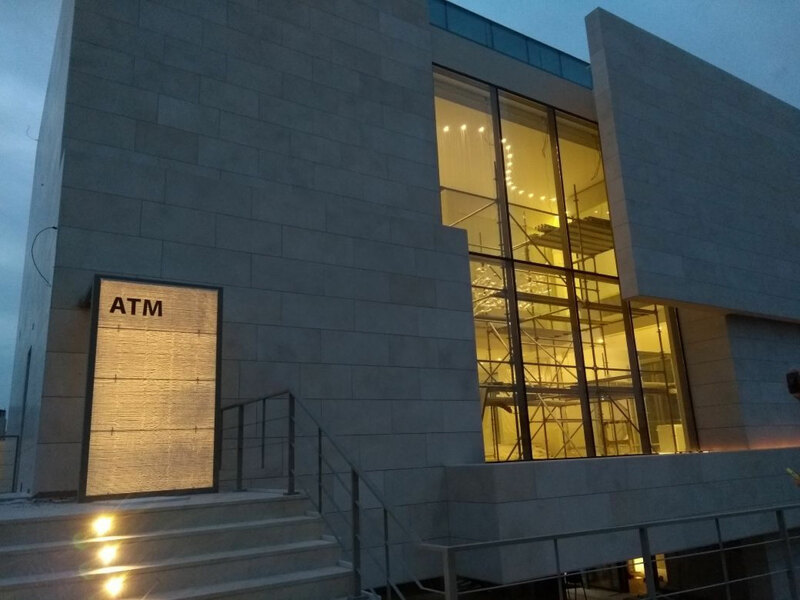 The design of the two main reception desks at the main entrances on different levels of the project, as well as, the ATM shelter that is marked with the use of translucent concrete panels and engraved text that is a unique way highlighting the function within the elevation shimmering during night time and blending with the facade with the text standing out during day time.